Hello, Gentlemen. I’m back with some more helpful information from the ladies. This time I asked them what they thought would be an ideal first date. The good news is that despite the women being so varied in interests, none of them mentioned anything about breaking the bank to impress them. In fact, the common denominator for all women was that the guy has manners and that the purpose of the date is to get to know each other. While gathering this data, I quickly learned that, one size does not fit all when it comes to what sounds like fun, but luckily there was a commonality among all the date suggestions and that is, these women felt that the ideal date location would be one that allows conversation, yet in a public location that they’d feel safe in. Every woman is different. Try to get clues about what she’d like to do. What sounds like fun to one woman might sound dreadful to another. For example, one woman might love it if you took her to a baseball game, while her best friend would much rather go paddle-boating at the nearby park. If you met this person online, you can get clues about what their idea of fun is from their profile and in your communication with them. If you call her before meeting her in person, ask her where she likes to hang out usually or if there is a place in town that she’s been meaning to check out. When it comes to first dates, the women that I surveyed were pretty traditional when it came to who pays. An easy rule of thumb is that the person who does the asking is the person that should pay. Typically it’s been men that do the asking so it’s been customary that they pay. Although, I think it’s only fair that if a woman wants to buck tradition and do the asking, I think she should be expected to pay. Regardless of who pays, the person who is being treated should be politely grateful. I know that in recent times, the traditional dating customs have been blurred and it can be confusing. But I think the safest thing to do is always assume you will be paying and if the woman insists on paying her way, then let her. One little secret though, if a woman insists that she pays her way and starts putting a distance between you two (both physically and emotionally), it could also be a signal that she has made up her mind and decided she wants to keep things on the friend level with you. Sort of a subtle signal that she will not be wooed by you, so she’s not going to waste your time or get your hopes up. Like I said, there are so many different types of women and all have different opinions, but I’m just letting you know what the general consensus around here is. First dates are important in that they are the one and only chance that both people have to make a great first impression. But don’t make that a reason to stress. Just see dating as a fun way to see if you are compatible with someone that you are physically attracted to. Remember that the following input are general guidelines and suggested etiquette based on female feedback. We all know that there are other factors involved in the making of a successful date for both parties, but at least these suggestions can give you an idea of how to have enjoyable dates. The main goals of first dates are to get to know each other and deciding if you’d like a second date. That’s another thing, women like to talk about their dates. If you really like her, it’s best that she has some good stuff to tell her friends about the date. Saying, “He already asked me for a second date.” will be met with positive thoughts by her and her friends. One time a guy asked me to meet him at a little cafe for a date. I get there and see he already has his drink. I join him and he immediately starts complaining about his mom and sisters. After awhile of this I hint that I’d like something to drink. So he walks with me towards the counter. While in line, he complains about his ex-girlfriend who’d bring her friend along with them when they’d go to Starbucks and she’d expect him to pay for the friend’s drink. “And those frappucinos are expensive!” Obviously he was trying to send me hints. So just as the man at the counter asks me what I’d like to order, this Casanova decides that he must walk all the way to the other side of the cafe to look at the wall art. So I ended up paying. I just grabbed my chai latte, returned to the table where the guy was and he went back into his woman- hating rant. I felt so disrespected that I didn’t even hear what he was saying, I just saw his lips moving and chugged my chai latte. The second I slurped up the last drop, I got up, said, “ I gotta go”, and bolted out the door. The guy actually texted me later that evening to tell me that he had a great time. I didn’t bother answering. I’m pretty sure I’m going to be added to his list of difficult women that his next date gets to hear about. I once saw a meme that said, “Dating makes you appreciate the time by yourself,” and it made me laugh because I can remember two or three dates where I just couldn’t wait to jump into my getaway car and make a run for it. I’m sure everyone has their own horror stories. It’s just part of the dating experience. But my point here is to provide you with information to make for more dates that end up being good stories. 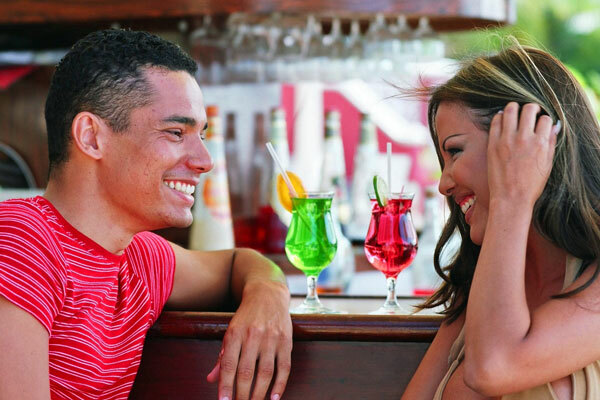 There are factors out of your control that determine whether your date wants a second date (or even if you do) but with these tips, at least you can increase your odds for that fun first date. It’s a very simple formula; be kind to each other, find something enjoyable for both of you and learn about each other. Regardless of whether there is a second date or not, if your first date consists of those three things, you are still winning. Connect with Adriana Green at AdrianaGreen.com, Trig & Polished, Instagram, and Twitter.